More than 1,000 children born in the UK to parents from eight EU countries have been refused British passport renewals because of a Home Office error.Families were not asked for full documentation when they initially applied for and got passports.Now when they apply to renew those passports, the applications are being rejected as the families are unable to provide the old paperwork.The Home Office said it will assist affected children get citizenship.It said the error in guidance made in 2008 was corrected in 2014 and it "regrets any inconvenience or delay that this has caused". Those affected are children of nationals from the eight countries that joined the EU in 2004, known as the A8, including Poland and the Czech Republic. Children of nationals from those countries are automatically born a British citizen if one or both parents have the status of a resident at the time of their birth. Permanent residency is typically obtained once an EU national completes a continuous five-year period of work in the UK. The Home Office now says that in some cases officials failed to check the required residency paperwork, most commonly the Workers Scheme Registration (WRS) certificate, and refuse to renew the passports unless documents are provided. The WRS was scrapped in 2011 and families have said it is impossible to obtain copies of the certificates as the records are no longer kept by the government. Piotr Lugowski, who has been working in the UK for 13 years, said even when supplied with the WRS, the Home Office rejected an application to renew his eight-year-old son's passport. Mr Lugowski said: "When he was three years old we applied for a British passport for him and we received the passport very quickly, I think within one week, without any problems, and the passport was valid for five years. "This year we put in an application for a new one and I was thinking it would be a very quick process, but we started receiving a lot of letters from the Home Office asking for more and more documents. "Despite sending WRS certificates as well as his permanent residency card, he said his application was rejected. Eventually he was told he could apply for his son's "naturalisation" for free so that he becomes a British citizen again.He is awaiting the decision but says the whole experience has left a bitter taste. He told the BBC: "I feel they want to make us not welcome here anymore. "I feel that from the government and that is very sad." 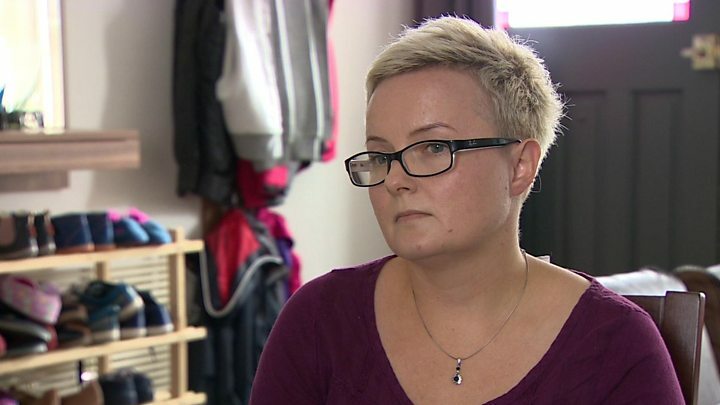 Ania Smaczynska, who moved to the UK in 2007, said she faced the same problem when trying to renew her six-year-old daughter's passport. She said it "looks like they took my daughter's British nationality", adding: "In the beginning I was very angry, now I think I'm sad. "I feel like a second-category person." A Home Office spokesman said: "We want there to be no doubt - if you are settled in the UK legally, any child you have in this country thereafter is British. "He said a "support function" has been set up to identify renewal applications affected and where appropriate, "support them to first register their child as a British citizen". The spokesman said: "This process does not require the same evidence as a passport renewal and the Home Office bears the cost. "Once that registration process is complete the child is able to make a new passport application."